QSource.com's recent addition of the complete line of Akro-Mils® Shelf Bins provides you with another great storage option and more excellent tools for your 5S/Lean initiatives. Create the storage solution you need by mixing and matching 13 sizes and 5 different colors. 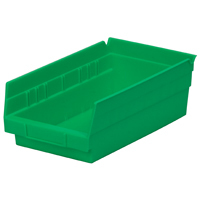 Each durable, polypropylene Shelf Bin is made of a one-piece composition that is waterproof, unaffected by grease or oil, and built to outlast corrugated bins. Akro-Mils has created a solid construction that prevents spreading or cracking when the bin is fully loaded and features a wide hopper front, which provides easy access. SORT: Use Akro-Mils Shelf Bins to sort and separate related parts, easily identify items that are infrequently used or unnecessary, and help create faster picking and easier access through the bin's large hopper front. SET IN ORDER: Shelf Bins allow you to create custom storage areas through color coding, storing items used together in a common area, and eliminating waste in production/clerical applications. 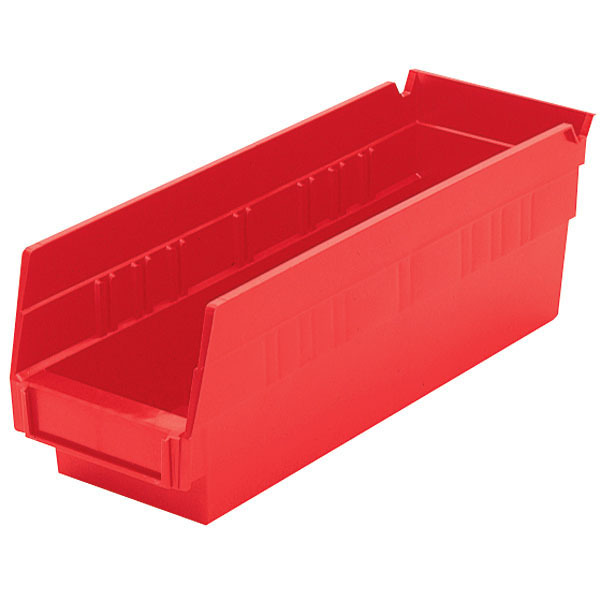 SHINE: The easy-to-clean Akro-Mils Shelf Bins are resistant to oils, chemicals, and weak acids. STANDARDIZE: Universal standards such as color coding, uniform sizes, and labeling are easily created when Akro-Mils Shelf Bins are added to your 5S/Lean efforts. 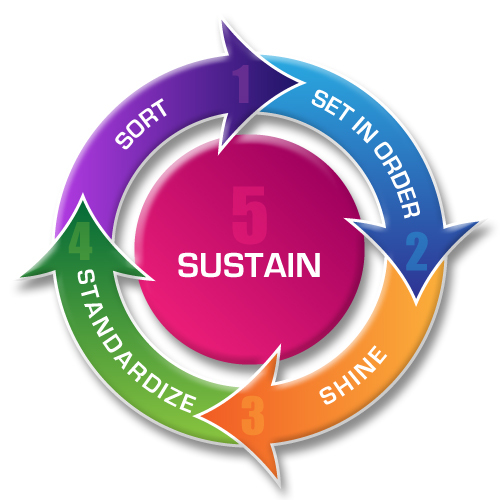 SUSTAIN: A 5S/Lean initiative with these Shelf Bins as part of the workflow process is easy to maintain and will help promote higher productivity, boost efficiency, and reduce costs. 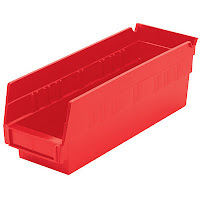 QSource.com offers Akro-Mils Shelf Bins in all 13 sizes (11 5/8", 17 7/8", and 23 5/8" lengths with varying widths) and with five different colors for each (red, yellow, blue, green, and white). Click on the links for examples of each. To learn more about these attractive, versatile bins, or to make a purchase, please visit our Web site, give us a call (800-966-6020), or send us an email and we'll gladly help you select the right bins to meet your exact needs. These self storage bin units would be perfect for my garage workshop. A good modification for these would be lids so that they get turned into pods and stop things from falling out though.